Dr. Jean-Frederic Colombel, of the Icahn School of Medicine at Mount Sinai, in New York and associates, conducted a multi-institutional case series of patients with a history of IBD and weight loss surgery.The researchers found a link between the development of inflammatory bowel disease (IBD) and a past history of weight loss surgery.The new analysis revealed that a past history of weight loss surgery was associated with a nearly 2-times increased likelihood of developing IBD.The study has been reported in Alimentary Pharmacology & Therapeutics. For the analysis, investigators first conducted a multi-institutional case series of patients with a history of IBD and weight loss surgery. 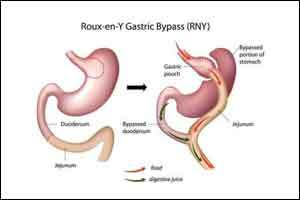 A total of 15 cases of IBD with a prior history of bariatric surgery were identified and reviewed. They next conducted a matched case-control study using medical and pharmacy claims database from 2008 to 2012. A total of 8980 cases and 43,059 controls were included in the database analysis. A past history of weight loss surgery was associated with a nearly 2-times increased likelihood of developing IBD. The mechanism by which weight loss surgery may increase the risk of IBD is unclear. Alterations in gut microbes following the surgery may play a role. In addition, weight loss surgery patients have elevated rates of vitamin D and bile salt deficiencies.